Mega Sale! 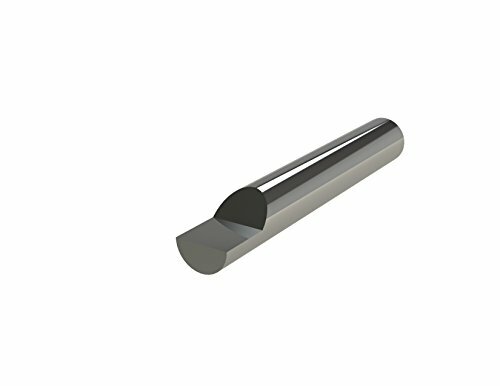 Save 21% on the Micro 100, RS-187-1, Single End Split-End Blank, 3/8'' Split Length, 3/16'' Shank Diameter, 2'' Overall Length, Solid Carbide Tool by Micro 100 at In The National Interest. MPN: RS-187-1. Hurry! Limited time offer. Offer valid only while supplies last. MICRO 100, RS-187-1, solid carbide, Split-End, blank . Designed and engineered with a single end, split-end featuring standard or extended lengths. MICRO 100, RS-187-1, solid carbide, Split-End, blank . Designed and engineered with a single end, split-end featuring standard or extended lengths. Can be ground to almost any geometry for most any cutting tool applications. Best suited for all types of materials from soft, medium, too hard. MICRO 100 Solid Carbide Tools feature more than just a micro-grain of excellent quality. Their substrate is in a class of its own, resulting from an exclusive treating process that allows for increased speeds and feeds and extended tool life. For over 45 years, MICRO 100 is a known industry leader and internationally acclaimed.